A pop culture controversy that has simmered for decades came to a head when a middle school marching band was told not to perform "Louie Louie." In a letter sent home with McCord students, Dawning said "Louie Louie" was not appropriate for Benton Harbor students to play while representing the district — even though the marching band wasn't going to sing it. Band members and parents complained to the Board of Education at its Tuesday meeting that it was too late to learn another song, The Herald-Palladium of St. Joseph reported. "It's very stressful for us to try to come up with new songs for the band," eighth-grader Laurice Martin told the board. "We're trying to learn the songs from last year, but some of us weren't in the band last year." Dawning said that if a majority of parents supports their children playing the song, she will reconsider her decision. "It was not that I knew at the beginning and said nothing," Dawning said. "I normally count on the staff to make reliable decisions. I found out because a parent called, concerned about the song being played." "Louie Louie," written by Richard Berry in 1956, is one of the most recorded songs in history. 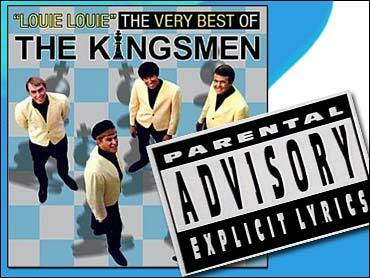 The best-known, most notorious version was a hit in 1963 for the Kingsmen; the FBI spent two years investigating the lyrics before declaring they not only were not obscene but also were "unintelligible at any speed."